Wobby Beach House is 23 mi from Sydney. The Entrance is 20 mi from the holiday home, while Terrigal is 13 mi away. 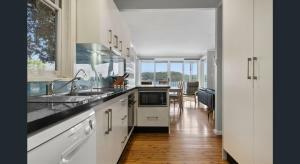 The nearest airport is Kingsford Smith Airport, 27 mi from the property. When would you like to stay at Wobby Beach House? Wobby Beach House is the stylish weekender. 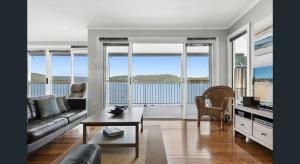 Located on absolute waterfront with uninterrupted 180 degree views of the Hawkesbury River and Dangar Island. Wobby Beach House is a tranquil, very private and extremely picturesque retreat. 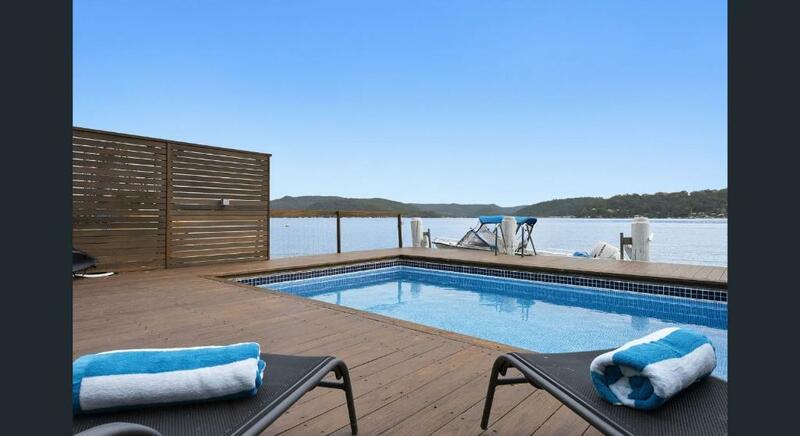 Wobby Beach is located directly across from Brooklyn opposite Dangar Island. 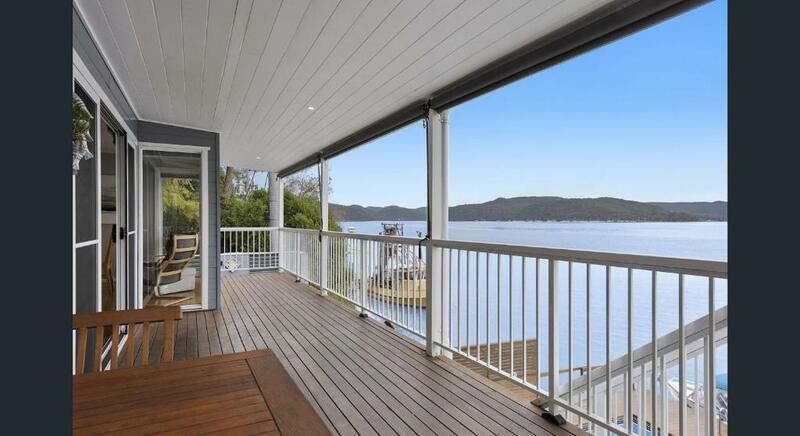 The property is boat access only, adding to its privacy and charm. 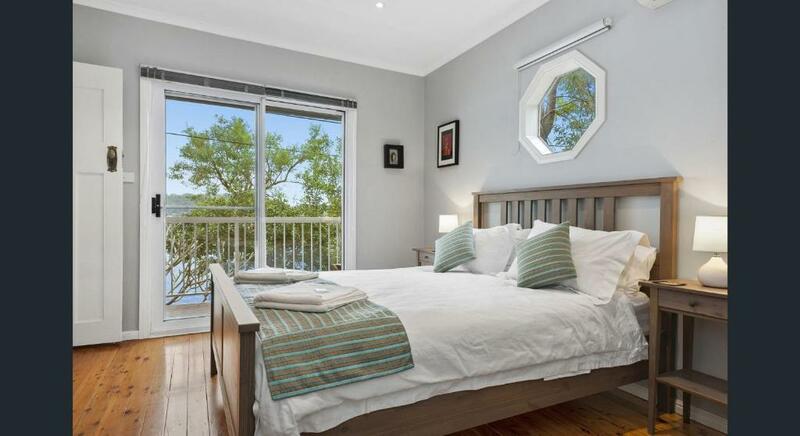 This house is well suited to up to 3 couples or a family and ideal for a weekend getaway, long weekend stay, holiday or extended stay. Facilities include a private pool, 3 double bedrooms, 2 bathrooms, lounge (2 sofas, foxtel, dvd), indoor dining (extends to 8 persons), outdoor dining (extends to 8 persons), well equipped kitchen (dishwasher, oven, large fridge, blender, coffee plunger). Linen, bath towels and beach towels are provided and the house is air-conditioned for your comfort. Getting There: Those with a boat will find excellent boating facilities including: 1. Deep water jetty. 2. Mooring directly in front for up to 50' boat. Those without a boat have a number of transport options. You can get to the house by water taxi or ferry from the Hawkesbury marina. 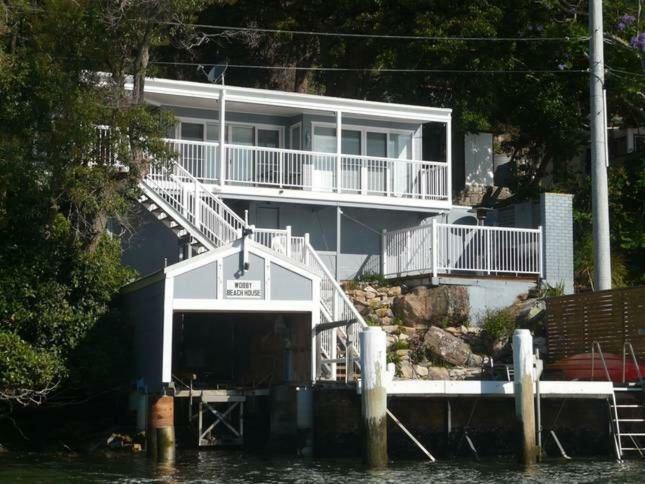 Things To Do & See: Little Wobby Beach House is a small community surrounded by Brisbane Waters National Park. There are numerous cave formations, natural springs and aboriginal sites. Expect to see our very own resident fauna in the garden: Wallabies (very early morning), Eastern grey kangaroos (daytime), Lyrebirds (afternoon in the top garden), Goannas (on trees and outside kitchen), Kookaburras (morning and afternoon) and a whole lot more of our bushland friends and native birds Things to do include: Simply do nothing and unwind in the pool or on the sun lounges reading a book. Bushwalking from southern end (follow road towards national fitness camp) and turn off to the cliff top walk and along the ridgeline to the northern end where you can take a dip in the natural rock swimming pools. Alternatively, you can not turn off and continue all the way to Patonga Beach (take hat, sunscreen and water bottle). Fishing, squid and crabbing off the jetty (only basic fishing gear provided). Use the 2 fishing kayaks (lifejackets also provided). 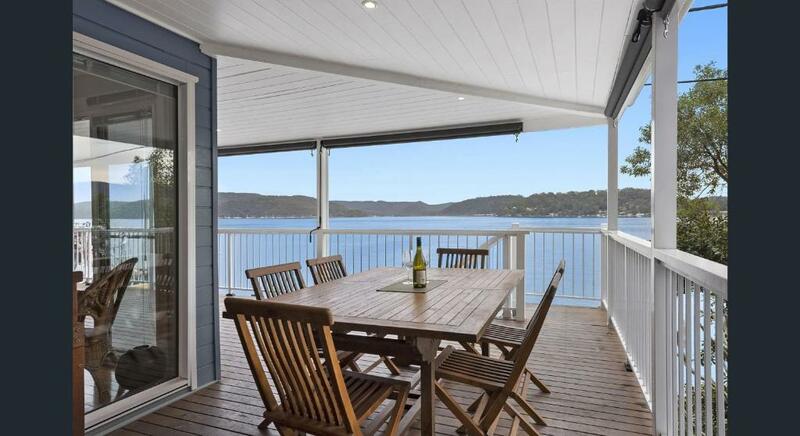 Visit some of the wonderful restaurants in the area from fish and chips to fine dinning or take the ferry to Dangar Island. House Rules Wobby Beach House takes special requests – add in the next step! We need at least 5 reviews before we can calculate a review score. If you book and review your stay, you can help Wobby Beach House meet this goal.